As a dedicated parent, you only want what’s best for your children, and this includes making sure they have a safe future. A safe future often includes a steady job and their own property, but even though these used to be simple things only several decades ago, today they’re considered a luxury. 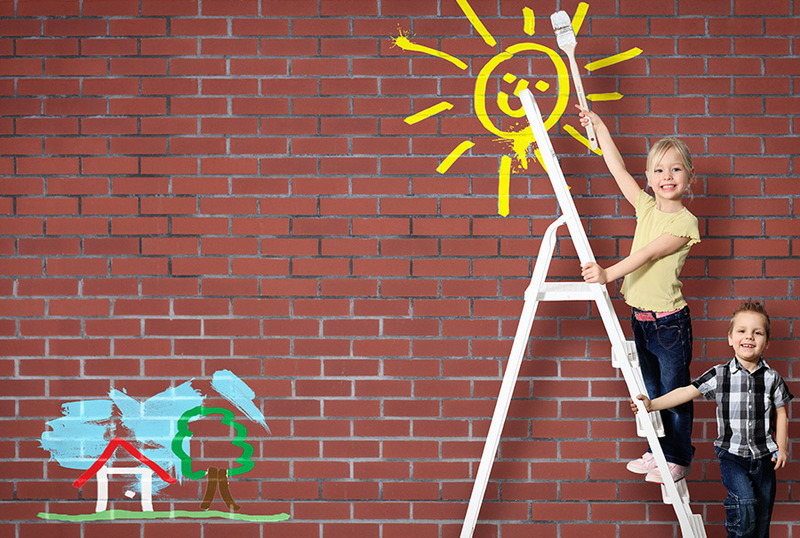 If you’d like to help your children climb the property ladder, there are few things you could do for them. Read on to find out some useful tips which will help you help your children get their own property. In this economy, mortgages are inevitable and a lot of people have (at least) one, but when it comes to your children, you should be aware that they can’t always get it. You could always try remortgaging your home and putting this money into a trust fund for your children to draw from in the future. With this borrowing, the liability on the parents’ estate is significantly reduced and what is more, the amount of inheritance tax can also be reduced in the future. The cash that stays in the trust is then available to the children to use as a deposit once they’re ready to find a home for themselves. Retirement is the time when your needs are very different from what they used to be while you were working. This is why you might want to think about changing your lifestyle so that it benefits both you and your child. There are many benefits of retirement living, namely the fact that you will always have professional caregivers by your side to help you if you have any health problems. By choosing to live in a retirement home you give yourself the benefit of professional care and security while, at the same time, allowing your child to have a home of their own without having to get a mortgage in the first place. The most obvious solution to help your children onto the property ladder is to just give them as much money as you can to help them out. The larger the deposit they can put down in the beginning, the better mortgage rate they will be able to get. Because very few parents are able to provide that much money immediately, a lot of parents and grandparents choose to downsize and live somewhere smaller. This is a good idea because as we get older, we can’t take as good care of our homes as we used to and choosing to live in a somewhat smaller home has great health benefits. The excess wealth can then be passed over to younger family members and the tax on this gift will be much smaller than if this money was left as an inheritance. For first time buyers, handling all the paperwork and wrestling with the mortgage might be a bit too much, which is why a lot of parents offer their children a helping hand. Getting a home of your own is always a big deal but it’s not always easy, especially when you’re young, and if you’re fortunate enough to be able to help your children onto the property ladder, you should definitely do so.